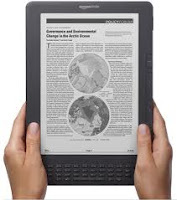 Just perusing….as a fan of e-readers (although I don’t own one yet) I’m a bit confused. Although I agree with your nostalgia about the closing of a landmark like Borders, I don’t feel the pity that comes across in your post. Most solvent companies change with the times, and Borders did not. They missed the boat on the e-reader business because of lack of vision or just plain arrogance. They have been fleecing students, teacher, parents and the entire educational system for a long time. They were able to charge college students up to $300 per book when production charges are not close to that. Why? Because they were the only game in town!! There was little to no competition in the textbook industry and places like Borders took advantage of those people who could do nothing more than pay the exorbitant charges. Now e-readers and rental companies can offer the same product for a fraction of the cost. I never like to hear of businesses closing because I always think of the people who have lost their jobs. But the loss of a company who took advantage of those merely trying to educationally further themselves is no loss to me!